"We design a safe and dignified homecare experience based on your unique needs"
Taking from their experience in caring for their own family members, and by blending their diverse professional backgrounds, Peter and Jim have created a simplified approach to giving seniors more options when trying create a safe and familiar environment within their own homes. Peter Schwartz – Has over 35 years of residential home construction experience as well as extensive firsthand experience in caregiving. Peter cared for his mother over 10 years, making sure the quality of care provider was ‘second to none’. Peter’s caregiving journey started after his mother slipped and fell. She suffered a broken hip, which started her increased dependence on caregiver assistance. “Falls are typically a families first exposure to caregiving. By far, falls are the number one reason for initial contact with Symphony!” said Peter. He went on to care for his mother and father in-laws, first, providing in-home care, then to finding the finest facilities to assist in round-the-clock care needed as their conditions declined. Peter’s construction background led him to create his 73 point HOME SAFETY INSPECTION. 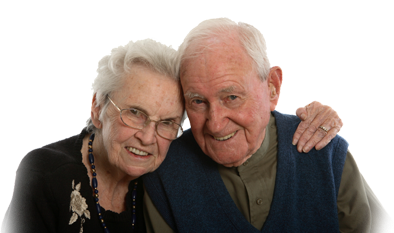 This inspection is specifically designed to meet the ever changing environmental needs of seniors wanting to continue living independently as long as they can safely do so. This inspection is completed at no charge for every Symphony Senior Home Care client. We built Symphony Senior Home Care as an independent, local Senior In Home Care health provider specializing in Companion Care, Short and Long Term Care, Post-op Rehabilitation, Skilled Nursing Plans, Memory Care, and Home Modification services. We are not affiliated with any national in-home care chain. This allows us to create care plans designed to fulfill the needs of our clients, and not be confined by franchise guidelines that are set up to fit into as many geographic locations as possible.